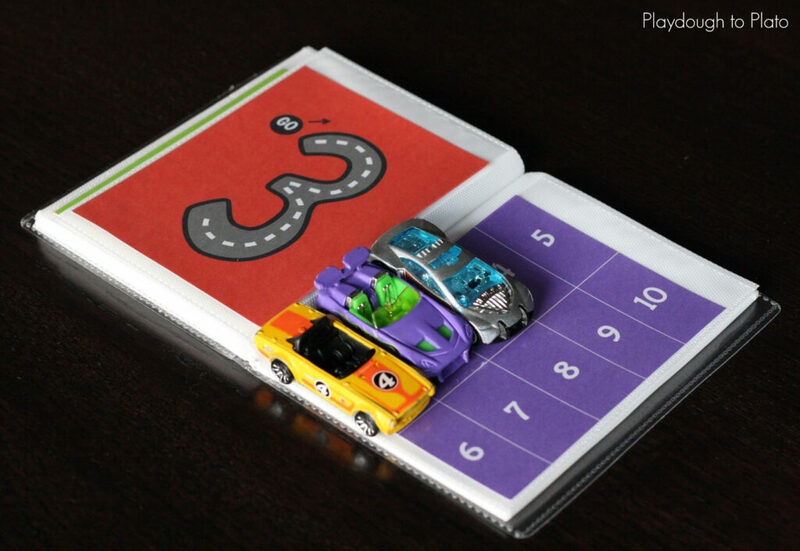 Our free printable alphabet tracing roads have been a HUGE hit so I was excited to put together a follow up activity book that was all about numbers. 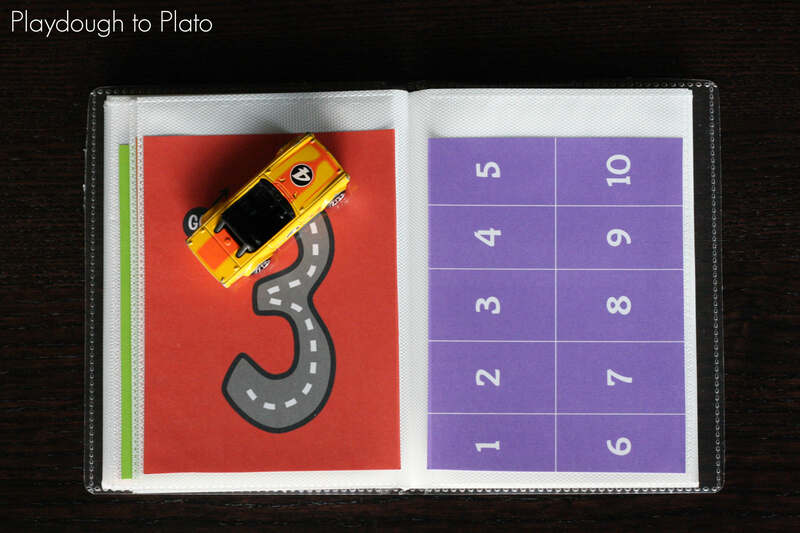 This freebie is a hands-on way to teach kids how to write and understand 0 to 10. 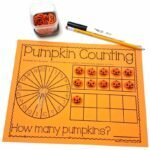 Use it as a classroom math station, a homeschool activity or a busy bag. There are so many possibilities!! After printing the free number book (below) on cardstock, I cut apart the cards and slid them into a 4 x 6 photo album I’d picked up at the dollar store. Using the book is really straight forward – no complicated directions needed. Big Brother picked out a car and placed it next to the “GO” circle. Then he drove the car around the road, following the direction arrow as a guide. Next, he grabbed a matching number of cars from the pile and drove them into the ten frame parking lot. I was a little nervous that the cars wouldn’t fit with the bigger numbers but they did. Whew! 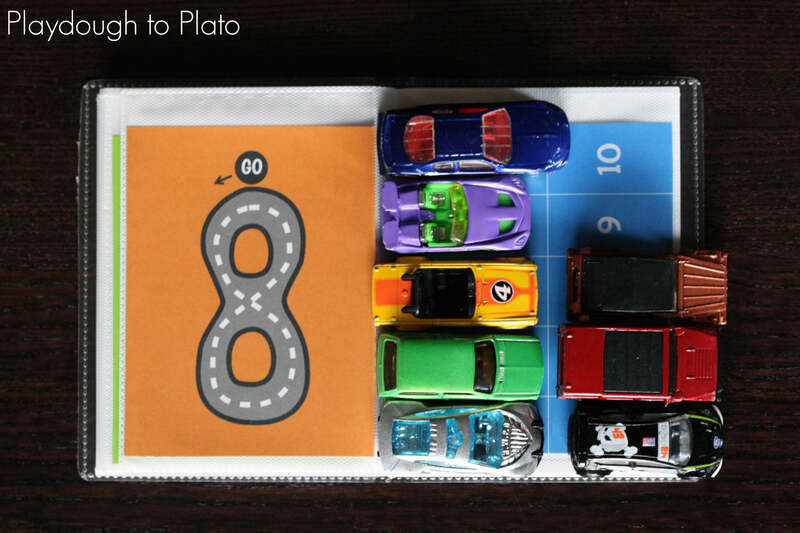 My son continued driving and parking his cars over and over again. Easy peasy. 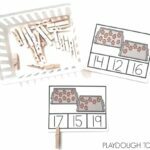 I was thrilled to see that the new activity book was a motivating way to help him practice number writing and number concept. 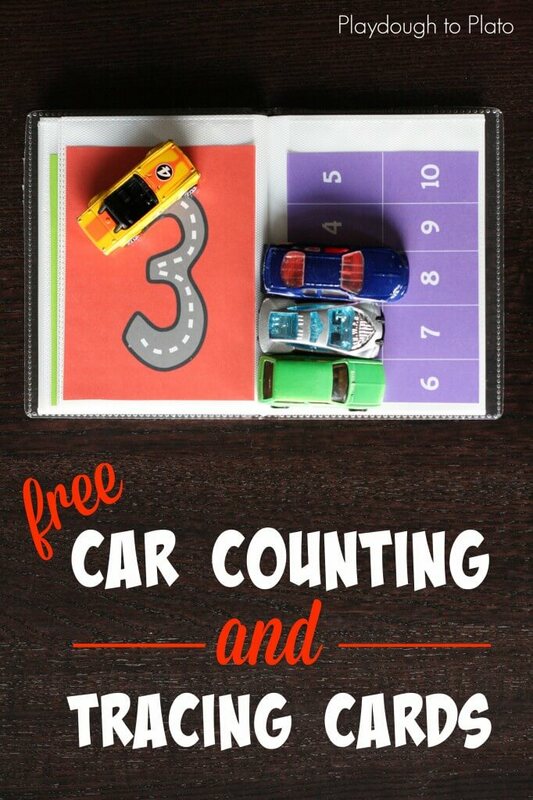 Rev up your engines and click the blue button below to download your free number book. 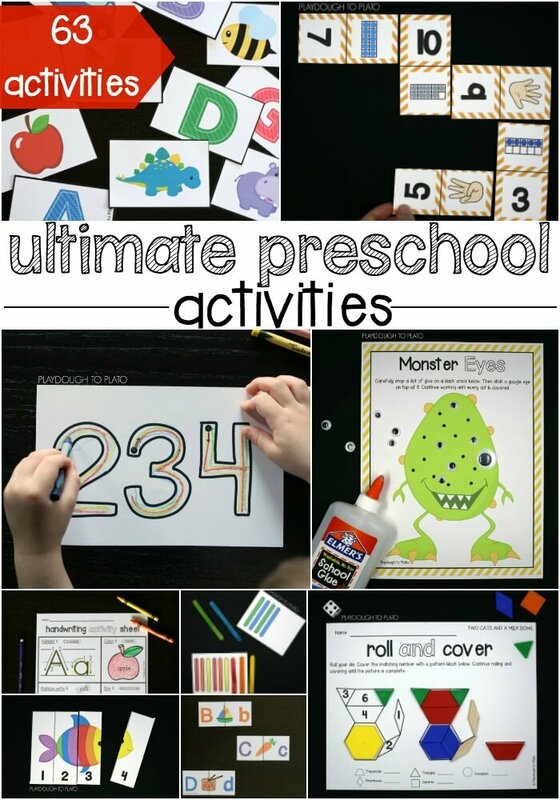 Then continue the math fun with our Ultimate Preschool Activity Pack including 63 print and play activities. 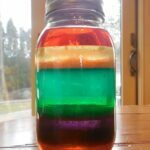 This is a great idea and a helpful reaource. I look forward to sharing it and putting one together for my youngest two. Thanks for the inspiration! Thank you for such cute ideas! Most cute ideas are more “girl-friendly”. It is great to offer something the boys will get excited about! It’s me again. Oh my goodness to cute. I have the same question is it possible to get a black and white set to save on ink. I have six kiddos and this would be very expensive for me to print. You do amazing work thank you for sharing. Again if you can’t no worries I will figure something out. Thank you so much for sharing these Malia! 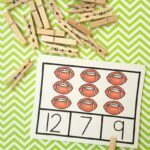 I printed off the capital letter book and thought it would be great to have numbers, too-came back to your blog and voila! There it is!!! Can’t wait to get these printed today! 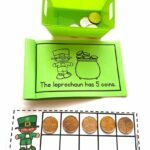 I am using them for some of my kindergarten students as well as one for my son at home! Thank you so much again!!! 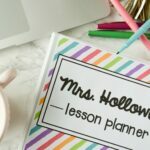 Your blog has quickly become one of my favorites!!! Hooray, Aimee!! I’m thrilled we had just what you were looking for on the site already. Thank you for taking the time to leave a note. Enjoy!! 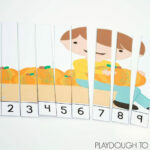 I love the number tracing and counting book!!! As a CPS teacher, we have to teach certain units, and 1 of our units is roads. I was wondering if there is any way that I could get a copy of the full sheet numbers from 0-25? I would really appreciate it!!!! !